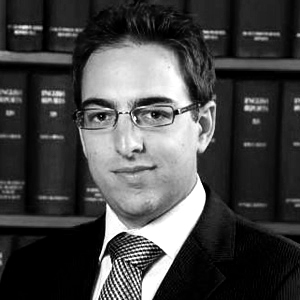 Andrew C. Alexiou - Consultant at Alexiou Knowles & Co.
Andrew C. Alexiou joined the firm as an associate in 2009. In 2013, Mr. Alexiou shifted his role to become a consultant to the firm and now practices on a part-time basis. The focus of Mr. Alexiou’s work is commercial law in the areas of insurance, banking, finance, mergers and acquisitions, arbitration, and trusts. Mr. Alexiou received his LLB from the University of Buckingham, United Kingdom, in 2007 and his Bar Vocational Certificate from the College of Law in London, in 2008. He obtained a Bachelor of Arts degree in Philosophy in 2004 from Rollins College in Orlando, Florida. Mr. Alexiou was called to the Bar of England and Wales in 2008, and the Bar of the Commonwealth of The Bahamas in 2009.